2 Double Beds (210cm*210cm). 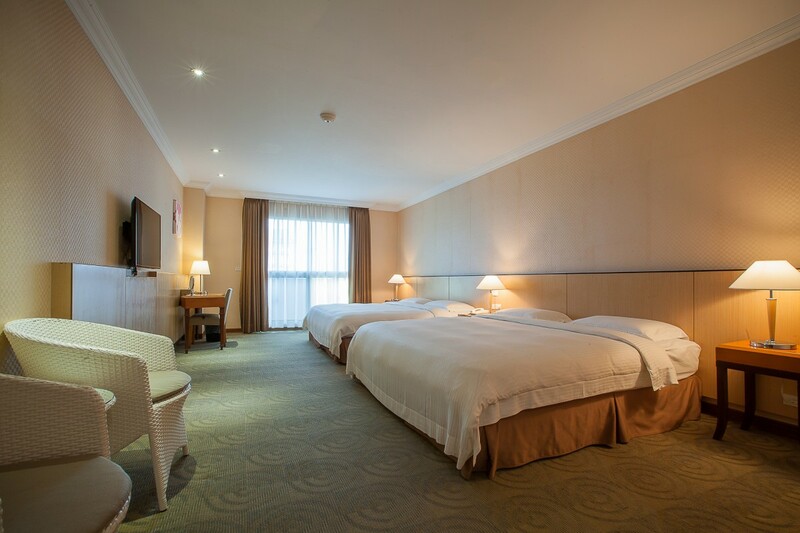 The room is spacious, clean, bright and is equipped LCD-TV that you may need for a comfortable stay. 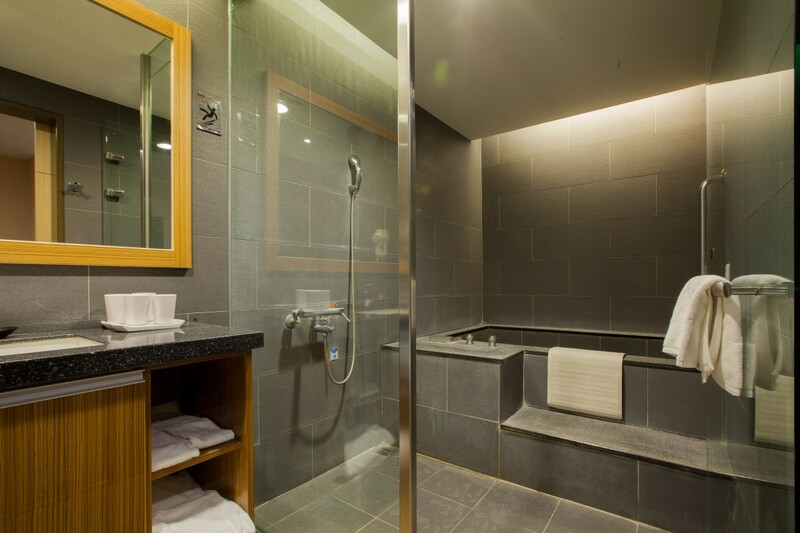 The Japanese Style Bathroom can be enjoyed sodium hot-spring in the room.